Welcome to Untold Stories: Grizzleheim. This post will summarize what happened there (not including Wintertusk). Grizzleheim is a side world. You discover the world of Grizzleheim after speaking with Baldur Goldpaws in Olde Town. Baldur claims that he’s from Grizzleheim and has come to Wizard City to establish trade relations. After speaking with a few Wizard City merchants, Baldur wants to thank you for your help by sending you to Grizzleheim. Once there, you greet several merchants and express interest in Wizard City- Grizzleheim trade relations. Luckily, all of the Grizzleheim merchants are enthusiastic about the idea and urge you to return to Wizard City. Baldur then thanks you for your help. Merle Ambrose calls you into his office explaining that he needs your assistance with something. He tells you that the Grizzleheim world tree was once linked with the rest of the spiral, but contact was eventually lost … and he thought it was destroyed. However, Bartleby has informed him that the Grizzleheim portal is now open once more and travel there is possible. Wanting allies during Wizard City’s dark time, Ambrose instructs you to go to Grizzleheim to make friends of the warriors living there. To do this, he encourages you to speak with their king. Upon arrival in Grizzleheim, Bjorn Ironclaws laughs at the thought of you meeting the king on such short notice. According to Bjorn, only the mightiest of warriors can speak with the king … and you’re an outsider. No one in Grizzleheim trusts an outsider, so Bjorn encourages you to join his “band.” A band in Grizzleheim is a group of allies that trust and rely on one another. If you’re able to make a name for yourself through his band, Bjorn promises that he will speak highly of you and get you inside to see the king. Eager to start the process, you accept the offer and Bjorn sends you to Hagen Shieldbreaker in Savarstaad Pass. After informing Hagen of what Bjorn told you, he quickly gets started with your lessons. First you need to prove you’re courageous, then you need someone to speak highly of you as if you’re their own child, and finally you need to become a hero in the eyes of the townspeople. In your efforts to become the hero Grizzleheim needs, you learn about the grendels. The grendels are terrible monsters that fear only one thing – spiders. Using that knowledge to your advantage, you forge a deadly sword using spider venom. After your sword is strengthened by the blessings of the forest, fire, and water spirits, you venture to the grendel fort to defeat their leader, Skellek. When you approach the fort’s gate, you notice that it’s protected by powerful magic. Only people wearing a Runic Tailsman are able to pass through. That must be why Hagen’s men weren’t able to get in! Once you acquire a Runic Tailsman from a grendel nearby, you confront Skellek and easily defeat him. With the grendel leader down for the count, Grizzleheim will remember you as a great warrior and hero. Despite that though, Bjorn tells you that it’s still too soon for you to see the king. A small village called Ander’s Holt is being troubled by raiders, so Bjorn encourages you to go there and offer your assistance. Once you arrive, you meet Egil Axebearer, who informs you that Ivar Andersson, the Thane, betrayed the village and allowed a bloodthirsty group of warriors called the Red Claw to raid their village. Now the villagers are helpless and hungry. To help, you gather food and warm fur, help locate missing villagers, and scare off some Red Claw members. Egil then informs you that one of the village elders named Grimnir has also gone missing. According to the others, he purposefully stayed behind. Sure enough, you find Grimnir still in the dangerous village and he is determined to stay there. Apparently he grew up there and would never flee. While he is not willing to come with you, Grimnir instructs you to tell Egil that he thinks Ivar is under a dark enchantment. Grimnir has known Ivar for a very long time, and finds it hard to believe he would willingly help the Red Claw. Despite being saddened that Grimnir chose to stay, Egil agrees with him about Ivar. Ivar was an honorable Thane … up until the Red Claw arrived. Perhaps he really is under a dark enchantment. Knowing nothing about magic, Egil sends you to a grendel named Bolthorn. Bolthorn is a rather mysterious character, but he is willing to help you for a price. After giving Bolthorn one of Egil’s claws, he leads you to a tailsman called the Eye of Truth. The Eye of Truth will reveal the dark enchantment upon Ivar and free him of it, but first you have to find him in Frostholm. To get into Frostholm, you steal a valuable Red Claw weapon and use it to get inside. Once inside, you meet up with Ulric Oathbreaker, a bear loyal to the king. With his help, you sabotage the Red Claw raiders and find Ivar. After you defeat Ivar, you hold up the Eye of Truth which washes away the dark enchantment. Ivar is not Ivar at all! A raven named Mord Runechanter was acting as him the whole time! Defeated, the raven flees. When Bjorn hears of the grim news, he is deeply troubled and tells you he will alert the king. Your fame continues to grow. Since the time you last spoke with Bjorn, the wolves have grown angry at the king. They claim to have captured Ivar and are ready for war. Bjorn first thought the wolves were bluffing, but now that you both know the previous Ivar was an imposter, he believes them. So, Bjorn sends you to Osric Grimbold in Mirkholm Keep to help mount an assault on the wolves and get Ivar back. After readying the assault with Osric, you’re sent to a wolf named Wulfric Foesbane. Wulfric informs you that a raven named Munin Mistweaver approached the wolves with a captive bear (Ivar), and told them that Ivar was leading the Red Claw against them. The raven then offered Ivar to the wolves as a prisoner. Wulfric tells you that he knows better than to trust a raven, and insists that he thinks the war between wolves and bears is wrong. He wants you to bring peace to the land. Wulfric informs you that he knows of a magic dust that allows only truth to be told when it’s thrown in the air. If you were to use that on the raven Munin, his lies would be revealed to all of the wolves. In search of the magic dust, Wulfric urges you to seek out a grendel named Herkir. After fulfilling Herkir’s many demands, he appears to betray you and refuses to give you the Dust of Discovery. Luckily, after you defeat him in battle, Herkir admits it was unwise to go against you and hands over the magic dust. With the Dust of Discovery in hand, you go to the wolves’ chamber to confront Munin. As soon as you use the Dust of Discovery on Munin, he reveals the truth. The ravens took Ivar’s shape to create a rift between the bears, and now the wolves. Munin flees shortly after, and everyone is stunned. The wolf leader apologizes and ends the feud with the bears. Although Ivar did nothing wrong, he feels ashamed of what the ravens have done in his name. Now that you’ve saved the Thane, ended the wolf-bear war, and exposed the ravens, the only question left is … why would the ravens do such a thing? Having helped Grizzleheim a great deal, Bjorn tells you that you’ve earned the king’s respect and he would be pleased to meet you. Woohoo! The king is honored to meet you and informs you that he is in the process of bringing peace back to Grizzleheim. However, that peace is already being threatened once more. A mighty grendel named Jotun has heard of your heroic battles against his kind and wants revenge. The king instructs you to deal with him and his two brothers in Nidavellir. Once they’re out of the way, the king congratulates you and has another task. Having experience with bears, wolves, and even ravens, the king thinks you’re an ideal person to help bring peace back to the land. However, before you can do anything, a raven named Kol Shadowsong dismisses you and announces that Grizzleheim’s doom is near. The king suspected the ravens’ treachery, but couldn’t prove it until now. It’s clear that the ravens pinned the bears and wolves against each other for something much bigger. It’s your job to figure out what. The king insists that there’s a raven he trusts named Hrafn Lorespeaker. You travel to Ravenscar to talk with him. Hrafn assures you that he can be trusted and informs you that the misdeeds that brought you here were orchestrated by a group of ravens known as The Coven. One of the loyal ravens, a scout named Skullin Icebrand, told Hrafn that he learned terrible news. Shortly after that, Skullin was captured by The Coven and thrown in prison. Hrafn urges you to find Skullin and figure out what was so troubling. After you free Skullin from the prison, he tells you what happened to him. Skullin had found an old scroll while exploring the glacier. Since he couldn’t read it, he handed it over to a member of The Coven. The Coven member read it, grew angry, threw Skullin in prison, and told him to keep quiet about what he found. After you return to Hrafn and inform him of what Skullin told you, he knows that you need to get your hands on that scroll. The scroll is being held in the Tower of Lore, but only shamans and magicians can go in there. While you might be a mighty wizard where you come from, Hrafn insists that your ways are not theirs. Despite that, Hrafn shares that a Spirit Totem will allow you to enter. Now it’s just a matter of making you one. Once you craft a suitable Spirit Totem, you use it to get into the Tower of Lore and read the ancient scroll. The scroll tells of the Everwinter, the cold season that will mark the end of the world. The clans of wolf, bear, and raven each control a rune stone. 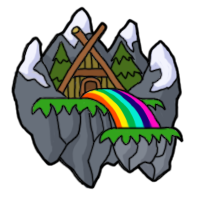 All of the rune stones are connected, and if someone were to capture their magic, they would control all of the magic in Grizzleheim. Hrafn fears that The Coven plan to do just that – capture all of the rune stones, control their magic, and bring about the Everwinter … therefore trapping the world in ice for all eternity. The Coven must be stopped! Before you can confront them however, first you need to protect yourself from their evil magic. To do this, Hrafn instructs you to collect Mystic Talons, small charms that protect against magic. Alone they aren’t very powerful, but if you gather enough, their combined power will be enough to counter The Coven. Hrafn informs you that The Coven member names are shrouded in darkness and mystery. He only knows of one – Mord Runechanter. That’s the raven that disguised himself as the Thane! Hrafn instructs you to confront Mord again and see if you can find out the other member names. Mord isn’t happy to see you, but you’re able to beat him in combat. After he flees, you look through a trunk you find in his room. In it, you discover a piece of paper with two other names on it – Munin Mistweaver and Kol Shadowsong. Both of those ravens are ones who you’ve encountered before. After you give both Munin and Kol unfriendly visits, you discover yet another scroll detailing The Coven’s plan. Apparently the evil ravens need to perform a ritual on the raven’s rune stone before they can bring about the Everwinter. Since they haven’t done that yet, there is still time to stop them. The Coven need two artifacts for their ritual: the Djelling Chalice and the Heart of Winter. Knowing that times are dire, you race to retrieve the two items before they do. Unfortunately, it turns out that The Coven started their ritual without the two artifacts. You don’t know how they did it, but you do know that you need to stop them and NOW. When you approach the main fortress, you realize it’s protected by a magical barrier. Hrafn knows that The Coven can’t possibly be doing the ritual and holding up a magical barrier at the same time, so the barrier must be a result of a different force. Running out of time, Hrafn sends you to the caves to find the source of the magical barrier. In your search, you meet a large creature known as the Gurtok Barrier Demon. The Gurtok Barrier Demon reveals that he was summoned by The Coven and is forced to hold up the barrier. However, if you were to free him, he could depart and the barrier would go with him. After freeing the Gurtok Barrier Demon, he challenges you to a duel so the secrets of banishing his kind will be lost forever. You win the battle, and with the barrier down, you confront The Coven. Though powerful, The Coven is no match for you. You’ve prevented the Everwinter … for now. The king of Grizzleheim is pleased and tells you that you’re the greatest hero Grizzleheim has ever known. You’re a legend and future warriors will learn from you.